No place is more comfortable or more eerie than a dark movie theater just as the previews are about to begin. 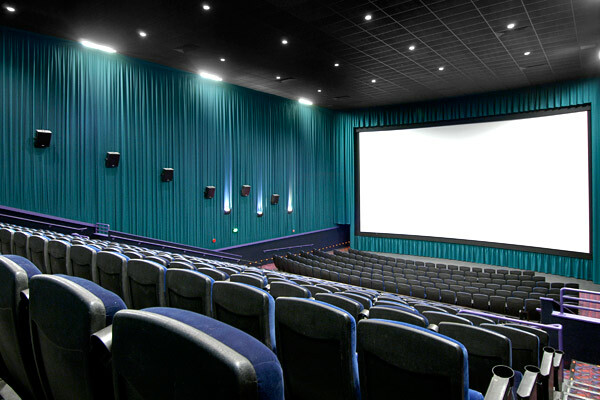 Chances are you have sat in a theater waiting to enjoy a movie before but once the lights go off you are transported to a different reality all while being surrounded by complete strangers. Perhaps I am being neurotic but the thought of experiencing any sort of emotion—and you experience countless emotions during movies—in the presence of strangers is utterly frightening. The room might be dark but someone is always watching. Clearly I have read too much film theory if, rather than seeking pure enjoyment from the cinema, these are the thoughts that wander through my mind during a screening. Needless to say, it is hard for me to leave my neurotic theories on spectatorship at the door and just watch a movie. While most people enjoy company while at the movies, I prefer going by myself and completely isolating myself from the main audience. Rather than be in the center row and in close proximity to anyone else in the theater, I prefer the very back, right corner. Believe me—no one wants to sit there. Of course, this makes watching any film especially difficult and makes me seem pretty ridiculous, but it is a practice I have perfected. My somewhat—okay very—bizarre screening tendencies were challenged this summer when I attended the Cannes Film Festival, where placing one very neurotic filmgoer in a 2000 seat theater could lead to serious ramifications. All of the sudden I had to sit next to strangers who applauded for everything: the film festival logo, the opening credits, the lead actress’ name, the closing credits, the music played during the closing credits. (Unless this person was a French film critic; I’m convinced that they don’t know how to express emotion during a movie.) I learned to embrace the novelty of the situation – how many times would I be surrounded by people who applauded a single frame of L’Avventura? Still it is amazing that I didn’t suffer endless panic attacks while at Cannes. Knowing this, the last movie anyone should expect me to willingly attend is a Bollywood film. There is no other national cinema depends more on audience interaction than Bollywood. So attending a screening Om Shanti Om at Amherst Cinema on Sunday, I was faced with my worst nightmare—audience participation. The girl sitting next to me clearly loved Om Shanti Om; she sang along with every single song and yelped with glee whenever Shahrukh Khan appeared on screen. Considering that Khan is singing in practically every scene, this happened frequently. The sight of one girl raising her arms in complete exuberance by the mere presence of Ambitabh Bachan probably strikes a western audience as odd (we certainly don’t greet cameo appearances by Dustin Hoffman that way). Yet that is what makes Bollywood cinema absolutely fabulous. These films are meant to elicit a certain response from the audience, one that depends on elaborate stylistic norms, song and dance sequences and star personas to create pure joy and excitement. Because, I suspect, many people attending the screening of Om Shanti Om had never been to a Bollywood film or at least to a public screening of the film, this was lost to them. Om Shanti Om was hardly my first Bollywood experience. I’ve just quite conscientiously avoided the whole attending a public screening aspect until now. Yet what will keep me, an incredibly cynical and neurotic filmgoer, coming back for more is knowing that films such as Om Shanti Om are meant to be enjoyed. If anything, Bollywood cinema has reminded me something I forgot once I became so academically engrossed with film—how to have fun while watching a movie. Oh who am I kidding. I’ll always be that neurotic girl in the back of the movie theater.